As usual, this list is very heavy on name brand commercial authors. ( If you are a literary snoot, one might even call some of these “franchises”. ) If you look at the 20 runner up titles, you will see that there are 5 more books by James Patterson and a co-author. This is sort of a dead giveaway that Patterson probably has little to do with the book other than providing his name as a marketing tool. Other authors who are perennial bestselling authors on the 20 book runner-ups are: Janet Evanovich (who also has book #6 above), Vince Flynn, David Baldacci, Nora Roberts, Clive Cussler, Robert Jordan, and Lee Child. As usual, public figures (usually conservative) top the list. Last year the best selling non-fiction book was Sarah Palin’s selling 2,600,000 copies. Glenn Beck and Bill O’reilly seem to reliably make the top ten every year. They are offset, just barely, by Jon Stewart far back in the pack. Publishers Weekly just came out with its list of the best selling books of 2009. For all of you readers out there who thought that Going Rogue by Sarah Palin was a joke, the joke is on you. Sarah’s publisher, HarperCollins is laughing all the way to the bank. And so is Sarah. Yes. Going Rogue was the #1 non-fiction best-seller of the year. It sold 2,674,684 copies. Nobody else came close. Ask The Agent made an educated guess that Palin received a $6,000,000 advance for the book. Truthfully, we were blowing smoke. We have no idea what that advance really was. But for comparison, it was reported that Senator Edward Kennedy’s received an $8,000,000 advance for his autobiography, True Compass. 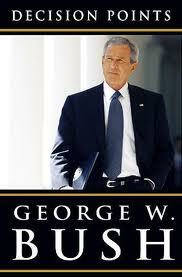 It was #5 on the non-fiction best seller list selling 855,843, about a third of Palin’s sales. Now that the sales are in, it is a lot easier to calculate how much Palin actually made on the book and how well her publisher did. Whatever Palin’s advance was, it was an “advance” against royalties. Royalties are based on actual sales of a book. An author doesn’t receive royalties until the advance is “earned out”, i.e. royalties exceed the advance that was paid. Typically the royalty rate is 15% of the list price, which, in the case of Going Rogue, was $28.99. So Palin made $4.34 on each book or a total of $11,608,128.56. Not bad for a book she didn’t even write. She may have paid some of this out to her hack ghost writer. We don’t know how much, but $1,000,000 would be a lot for this kind of work. And shabby work it was! But wait! It gets even better. The numbers we are talking about are for US sales of the hardback version only. It doesn’t include the following: world English sales, translations, e-book sales, electronic apps, movie options, audio books, condensations, serializations, and merchandise (calendars, t-shirts, mugs, video games, and posters). And let’s not forget book club sales. And the Conservative Book Club is a huge driver of sales, frequently in the seven figures. We don’t know these numbers and probably never will. But wait! It gets even better. Those numbers are only for sales in 2009. Going Rogue is still a best seller juggernaut. Her Amazon ranking is (as of today) #266 and her Kindle ranking is #573. Trade and Mass Market paperbacks will be rolling out sometime this year. By comparison, the best-selling non-fiction trade paperback in 2009 was Glen Beck’s Common Sense selling over a million copies. Assume 8% royalty on a $16.00 paperback (that is conservative), Palin stands to reap another $1,250,000 plus change on these sales. Feel sorry for the publisher, HarperCollins, for shelling out all that dough for royalties? It’s ok. Don’t worry. Let’s look at publisher costs. Typically a publisher will receive about half of the retail price of a book which would be for this book $14.47. HarperCollins out of pocket costs would be approximately $3.00 for preproduction (editing and the like), $2.50 for manufacturing, and $2.00 for marketing. Add to this Palin’s $4.34 royalty. The publisher’s profit should net out at $12,383,786. (This does not account for publishers fixed overhead costs). And they also stand to make lots of money on continuing sales, paperback sales and other subsidiary sales. I wish I was Palin’s agent. Let’s see….15% of author’s net income. That’s $1,741,219 and counting. Sweeet! .Almost all publisher contracts pay authors through a system of royalties, a certain defined percentage of revenue based upon sales of the contracted book. The concept is simple, but it can get quite complicated in practice. Let’s talk about the different formulas that publishers use in calculating royalties and how these translate in income for the author. At the outset, it is worth noting that for the majority of authors who get published by trade publishers, royalties don’t really matter. Most books never earn out their advance, and authors never receive a royalty check. Big time celebrity agents often like to brag that if a book “earns out” the advance, they haven’t been doing their job. And there is certainly something to be said for this argument. It means that the agent negotiated a sweet deal, and the author ended up with more money than she would have otherwise earned. We discussed advances last week. We mentioned that advances are just that: advances against royalties. An author will never see a royalty check until the net earnings from royalties exceeds the advances paid. We also had a little fun trying to estimate he total advance on Sarah Palin’s book some hypothetical assumptions. The royalty rate is negotiated in the “deal points” phase of contract negotiations, before the contract language is worked out. A typical royalty arrangement for cloth bound books from a major publisher is: 10% (of retail price) on the first 5,000 sold; 12.5% on the next 5000; 15% thereafter. More important authors might be able to sweeten this deal some. But it is unusual. Royalties on trade paperbacks are less and usually start at around 7.5%. They can increase on volume sales. Remember that these percentages are based on “list price” or “retail price” or “cover price”. All of these terms refer to the price marked on the cover of the book. Thus, if retailers discount the price of the book to the consumer (as they frequently do), it has no impact on the author’s earned royalty. The recent price wars amongst Amazon, Walmart and Target, in which books are being sold far below their cost as loss leaders, have no impact on the royalties being paid to the authors. Some publishers, mostly smaller publishers, calculate the royalty as a percentage of the publisher’s net revenue. This is quite a different accounting method than one based on the retail price. Net revenue will vary from publisher to publisher. But in general, publishers sell books to vendors for 50% less than retail. If your contract calls for royalties based on “net”, then you should be seeing royalty percentages that are double those of those based on retail price.” If you aren’t seeing that, than it is not a very good book deal. Hmm. Interesting. So this means that if a publisher sells a book for 51% discount, and receives 1% less than otherwise, the author will have his royalty reduced by 5%. This doesn’t seem fair—at least, not fair to authors. A lot of these deep discount deals are for bulk sales to big box stores or special sales to corporations and institutions. The discounts can be as high as 55-60%. So it is probably fair that the author should make some kind of sacrifice. But wait! Maybe not. Consider that these high volume sales are shipped to a single location, packed on skids, a single invoice to account for, no returns permitted. The publisher is making considerable profit on these bulk sales. In my humble opinion, these deep discount provisions are entirely one-sided and have the effect of reducing author royalties on transactions that are actually more profitable to publishers. Unfortunately, these provisions are frequently difficult to change in negotiation. I try to define exactly what classes of vendors they apply to and put into the contract that the provision will only apply to sales outside of normal book trade distribution channels. Otherwise, one could find that most of one’s royalties are going to be based on rates offered in the deep discount provisions, not on the negotiated standard royalty rates. If you ask anyone in publishing, they will tell you that all thought about the future is centered around the role of e-books. The royalty on e-books has moved to the fore and is now an element of the deal point negotiation. As of now, there is not a firm rule of thumb for e-book royalties. I have seen royalties offered anywhere between 15% – 50% of publisher revenue. Random House, the largest trade publisher, has been offering 25%. I suppose that is as good an indicator as anything else of a prevailing practice. At the moment, e-books account for less than 2% of book sales. But this could change dramatically and quickly in the coming years. Thus a bad royalty on e-books might not mean much money now. But could be substantial as the e-book takes hold of the marketplace. It seems to me that an author should be entitled to a much larger portion of an e-book sale than of a physical book. After all, publishers have considerably lower costs in manufacturing, distribution, and returns. But the royalties being offered to authors on e-book sales don’t seem to account for these savings by the publisher. What Was Sarah Palin’s Advance? Everyone in America is asking today what was Sarah Palin’s advance for her book, Going Rogue. We can’t say for sure, but we can calculate a range by applying some reasonable assumptions. Alaska reported that during the final six months of Palin’s governorship she received a “retainer” of $1,250,000 for her book from Harper Collins, her publisher. Let us assume that this was simply the first payment of an advance to be paid in several parts. Typically an advance is determined by the projected royalties on the first printing of a book. In the case of Palin’s, the print run was 1,500,000. Royalties on hardback books vary from 10-15% of list price. They can be even higher for some blockbusters. Let’s assume that her per book royalty is 15% or $4.35 per book. This would give us an expected advance of $6,525,000. Another metric that we could use is the estimated number of equal payments that are made for any advance. Typically an advance is divided into a number of equal payments which are made at certain benchmark times. Smaller advances are usually in two parts. Larger ones can be in three. Very large advances can be made in four parts. Since Palin’s advance is clearly very large, we assume that the reported advance was the first of four payments. This would give us an estimated advance of $5,000,000, similar to the previous estimate. Of course, the normal economics of publishing don’t really apply to deals of this size. So my calculations would have considerable uncertainty. The rumored amount on the street when the deal came down was $7,000,000. In my line of work, I get a lot of rejection letters. I tell my authors that it is a little bit like my social life in high school. Rejection is painful to everyone. Reading these letters always feels like a stake in my heart. I can’t imagine how much it hurts the writers who have labored for two years on their life work only to have a capricious 2 line rejection. You read about these high profile deals in the newspaper: Sarah Palin (or Tina Fay), Dr. Phil, Stephen King. These deals are actually pretty simple affairs and mostly revolve around the concept of a lot of money changing hands. But the vast amount of publishing deals are something entirely different. Most of my projects are what is referred to in the trade as “midlist”. The midlist books are the ones that aren’t lead titles. The midlist is most of the books that are getting published. The midlist appears to be what publishers are most shy about acquiring in bad economic times. Even though advances for the midlist are pretty modest (often less than $10,000), publishers see these books as a risk. Like every other business in America, publishing is having a hard time. The lead titles seem to be holding pretty well, but the midlist is struggling. There are other factors involved in the decline of the midlist as well. Concentration of retail bookselling in the hands of chain stores and mass merchants, the cult of celebrity, a reading public that has developed internet-inflicted ATD, irrational exuberance over all things media-driven. All of this works against good books with smaller audiences. I try to send out a lot of submissions for any given project. As long as the title submitted seems appropriate to the mission of the publishing imprint and the taste of the particular editor, I like to give the publisher a look-see. When you read about the big deals, the word “auction” usually comes up. But with most midlist books, you might find only one publisher who really falls in love with the book. – Or no publisher. So you can see why there are a lot of rejection letters in my inbox. My authors all want to see the rejection letters. We talk about them a lot. Authors seem to think that there is some hidden wisdom in the letters that can be uncovered through hermeneutical exercises. I tell them that frequently there is very little to be learned. Sometimes these letters are simply polite ways of saying: “we aren’t interested”. I’m going to give you some examples of rejection letters I have received (I will protect the privacy of the author and the editor). And in true, post-modern fashion, I will try to explain the hidden meanings through exegesis of the text. Analysis: Publishers are nothing, if not polite. And they always like to be as complimentary as possible. But when the phrase “that said” comes up, we know the ax is going to fall. In order to determine if a letter is meaningful, one must look for something personal and unusual. Letters that begin with “This is beautiful and stirring”… [followed by] “that said” [followed by ] a rejection are usually of a garden variety. There is not much to be learned here except that fiction is difficult these days and publishers really want fast moving stories. We already know that. Analysis: “I didn’t fall in love with this” happens a lot in this business. There is always some truth to this. In art, de gustibus non disputandum est (I’m sorry. There is no accounting for taste). Even though publishing has become a highly rational business focused on the bottom line, at the end of the day the decision to acquire a book is ultimately based on a highly subjective and emotional response. And that is how it should be, and I suppose this is some cause for optimism. Analysis: Well, what is certain is that this rejection letter isn’t trying to be too polite. It is blunt but honest, even if there is little that the author can learn from this. What I learn is that humor is especially subjective. What I see as one of the funniest books ever written may leave another person cold. Before I submitted this, I looked at every humor deal that had been made in the last 2 years. There is a data base where one can do this. Virtually every humor title was from a successful web site. Successful web site usually means more than 100,000 hits a day. If it’s less than this, chances of getting a publisher diminish. Analysis: Same as above but even blunter and more honest. Analysis: The message in this is that this is an article, not a book. That is a big cause for rejection these days. As big as: “I just didn’t fall in love with it”. I have started telling this to my authors. That they really need to understand this concept. Some concepts for books are probably better expressed in a 5-10,000 word article than in a 50,000 word book. Analysis: Now how can you feel bad about an editor as honest as this, even though it’s just another rejection. When I read this, I wanted to give her a big hug and send her a teddy bear. She’s having a baby! She isn’t interested in issues around finding the right man. Editors are like everyone else. Sometimes they reject a book because they got up on the wrong side of the bed. Analysis: This rejection letter is extremely annoying. After all, the book is about a war and an important moment in history. The editor seems to be saying that she would be more amenable in an historical subject more current. But then, it isn’t history. And the current war in Iraq has been so over published, that there is simply no new way to slice it and dice it. But I was not able to get this book published. 20 other publishers said the same thing. They felt that there was not a sufficient audience for a subject that took place 20 years ago. In this case, the message was loud, clear and unambiguous. Analysis. The key concept here is “narrative arc”. This is a big reason for rejections. Alan Rinzler wrote about this on this blog several weeks ago. A good narrative non-fiction book must read like a novel. It needs a beginning a middle and an end. It needs an Act 1, Act 2, Act3. Just like a good play or a movie. That is “narrative arc”. Analysis: There is the “A” word again: “audience”. 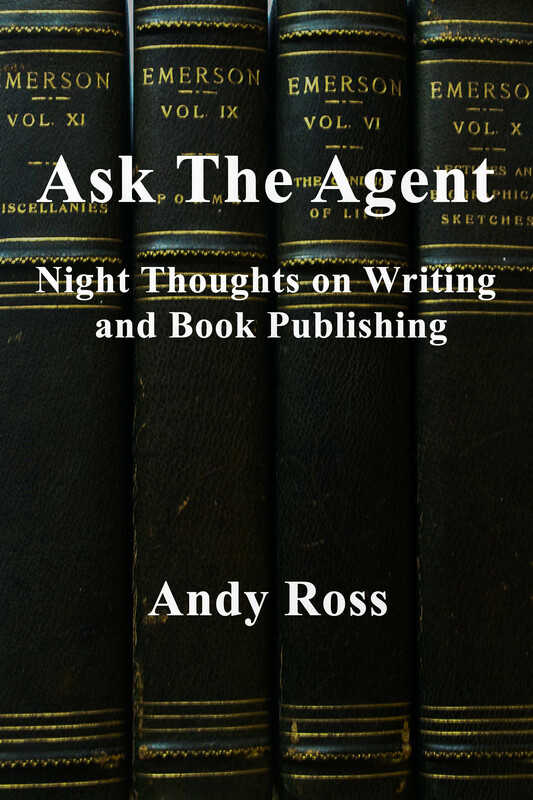 Publishers keep asking me this and so I keep asking my clients. Who’s the audience? Who is going to read this? Authors really need to think pretty hard about this. And take some time to make a compelling case in the book proposal. Because if you can’t make a compelling case, chances are that there isn’t an audience. Analysis: You would think that these big corporations have sophisticated logistics that make things work better, but clearly they don’t. Analysis. This is pretty distressing. But publishing is suffering from the same economic problems as the rest of us. And there are some fine publishers who are having difficulties. [The publisher above closed its doors for the last time this year]. Analysis: Platform, platform, platform. That is the word you keep hearing about from publishers. What is it? It means that the burden of promoting this book is going to fall on the author. And you better have fame, money or access for promoting your book, or the publisher won’t be interested. Sometimes, but not always, prestige will suffice for platform. As in having an endowed chair in a department at Harvard. Publishers love Harvard. I don’t know why. I have gotten books published by authors without platform. But not having one creates huge hurdles. Analysis: The 3 rejection letters above were all sent to me at different times by the same editor. Obviously there is some serious cutting and pasting going on here. I’m tempted to make some snarky comment. But really, these letters tell us a lot about the life of an acquisitions editor. They get twenty proposals a week. Fiction editors probably acquire less than 1% of the proposals they receive. So it is not reasonable to expect a huge amount of nuanced analysis in a rejection letter. There really isn’t much to learn from these letters, except that the book was not for them. That’s what makes it all worthwhile.